Having Zbee as a taxi and electric mobility solution in India, has really shown that EVs have a bright future there. 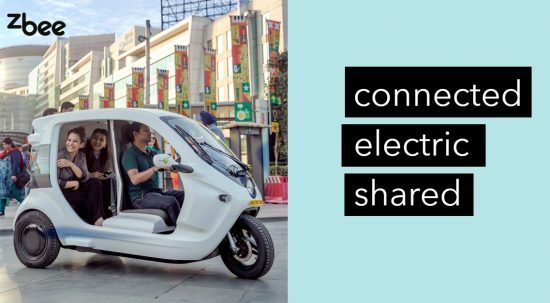 Our goal is to make shared electric vehicles available for as many people as possible. So we reached out to India’s largest taxi aggregator, Ola Cabs. They’re kind of everywhere and operating in more than 100 cities and expanded to a network of more than 600,000 vehicles. We contacted Ola Cabs to see if we could work together. They said that they were committed towards the development of the electric vehicle ecosystem in India and to partner up with us would be all in line with their current strategy. The contact lead to an agreement on a pilot project for a possible large-scale rollout of Zbee. Our cooperation is based on the implementation of a unique pilot project where Ola Cabs will use Zbee, which today rolls on different routes around Delhi NCR (Delhi Capital Region) in India. The vehicles that are to be included in the pilot will be connected both through ZbeeConnect, our platform for connected vehicles, as well as Ola Cab’s own applications. The combined data collection in the project makes it unique and will create great opportunities for large-scale rollout of Zbee in India. We think it’s very exciting to partner up with Ola Cabs and this is an important first step towards a potentially huge implementation of shared electric vehicles, in a country with an urgent need of better air quality.